The world's oldest light bulb has been burning for 111 years - so little wonder it has a fan club with thousands of members and its own website. The so-called 'Centennial Light' has been on almost constantly since 1901. It holds pride of place in Fire Station 6, in Livermore, northern California. The longest time the Guinness World Record-holding bulb has ever been turned off for is just a week. Dangling above the fire engines, people come for hundreds and thousands of miles to see the diminutive symbol. The bulb was designed by Adolphe Chailet, who competed with the likes of the world-famous Thomas Edison to make the best bulb. 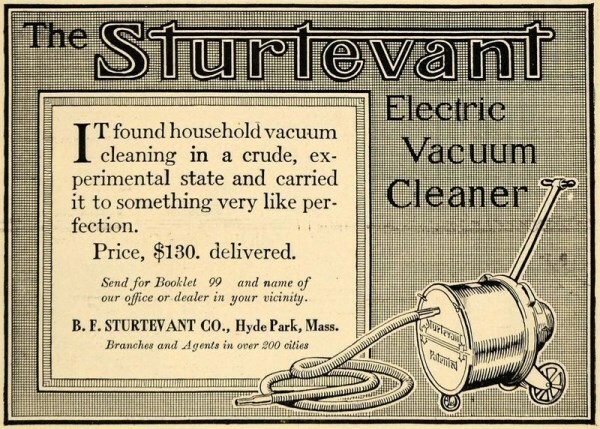 Despite his enthusiasm for old machines, his wife Jacqueline ignores the noisy, heavy antique and prefers to clean their three-bed semi in Timperley, England, with a more modern model. It was the era of the Great Depression, a decade of austerity when household finances were stretched. So when the Kinghorn family bought a brand new refrigerator in 1936 they hoped it would prove a good investment. They could never have imagined that three quarters of a century later, with the nation again facing tough economic times, the fridge would still be working as well as ever. The Frigidaire – a 1935 model – is now a contender for the title of the oldest continuously-working refrigerator in the country. It has never needed repairs, apart from the occasional replacement part. It takes pride of place in the kitchen of Rosemary Kinghorn, who inherited the appliance when her mother-in-law, the original owner, died in 1957. The 79-year-old said it had not had any maintenance for over 30 years, when her husband last replaced one of the parts. 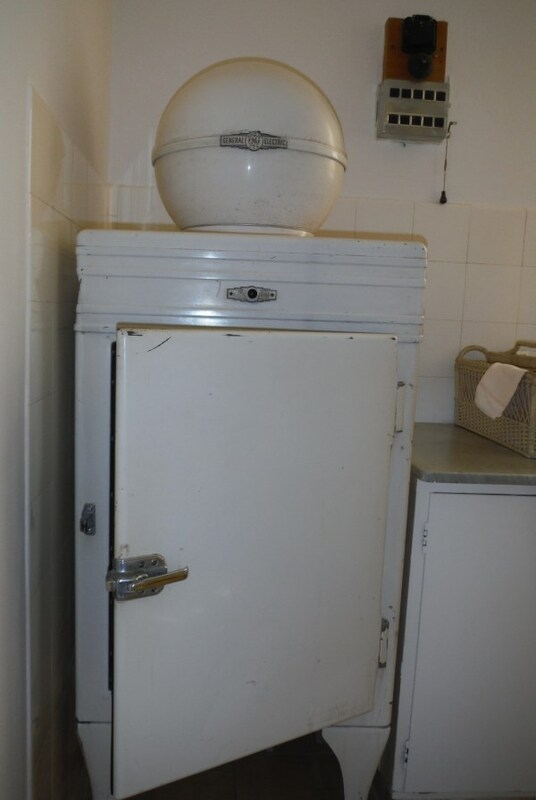 Mrs. Kinghorn, of Marchmont, Edinburgh, said the refrigerator was one of the last to be built without a light, but served as a reminder of an era in which things were built to last. 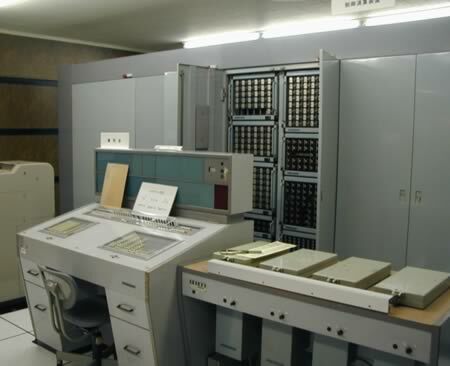 In Japans Ikeda Memorial Hall sits the FACOM 128B that was built in 1958 and still works today! It has gone through some small upgrades over the years to keep it running, but still has the same core system. The FACOM occupies 700 feet of floor space and has less calculating power than a real calculator. The company's goal is to keep it running until the year 2016 when it will have reached its 60th year of operation. He didn't have any intelligence. And he moved with just a slow, lumbering shuffle of his metallic feet. But one of Britain's first humanoid robots, built just after the Second World War, has been given a new lease on life after having languished in a garage for the past 45 years. 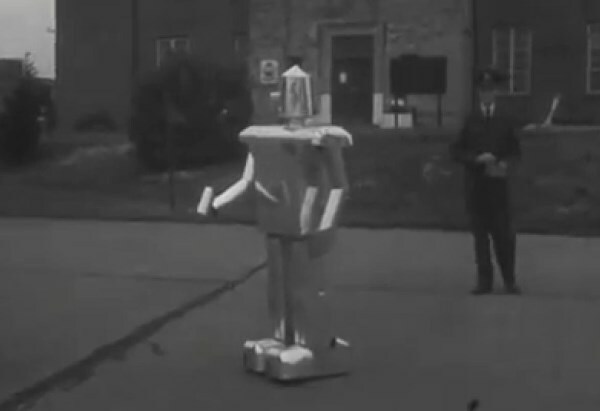 Former spy catcher and RAF officer Tony Sale, 79, built the incredible 6 ft-high robot, George, in 1950, for just $20. using scrap metal from a crashed Wellington bomber plane. At the time Mr. Sale was only 19 and his amazing man-sized model, which could walk and ‘talk,' stunned the world. Sadly, computers of the time were too crude and big to give George memory and intelligence so he was packed away in Mr. Sale's garage in Bedford and left to gather dust. But now after nearly five decades Mr. Sale has got the radio-controlled robot working simply by putting in two new batteries and oiling his joints. For £5,000 you might have expected a bigger, flatter screen. But this television does come with 75 years of broadcasting history – and you can still hook it up to a Freeview box. 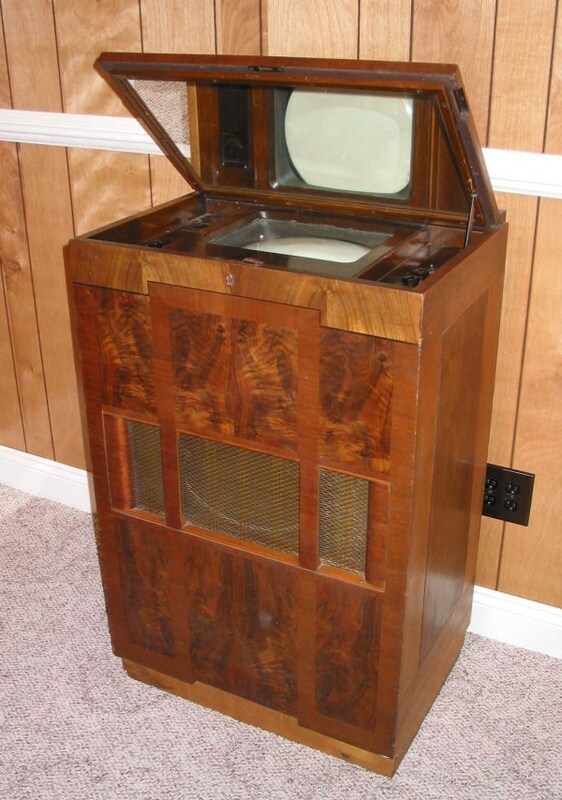 Built in 1936, the Marconi type-702 is the oldest working television set in Britain. It was bought for just under £100 only three weeks after transmissions in Britain began. And with just one channel broadcasting for two hours a day, there wasn't much need for a remote control. But what the television lacks in modern technology, it makes up for in reliability. Only 30 per cent of its components have been replaced during its lifetime, all with identical parts. The 75-year-old set has a 12-in. screen contained in a walnut and mahogany case, with the picture reflected on to a mirror for the viewer to look at. The TV has now a pre-sale estimate of £5,000, but experts at Bonhams expect it to fetch much more. It cost Mr. Davis £99 and 15 shillings – more than half the annual average wage at the time and equivalent to almost £4,000 today. Its serial number is H1007, and it is thought the sequence began at 1,000, making it number 7. Despite grumbles from envious rivals, Ashville, Ohio sticks to its claim that it has the World's Oldest Traffic Light. 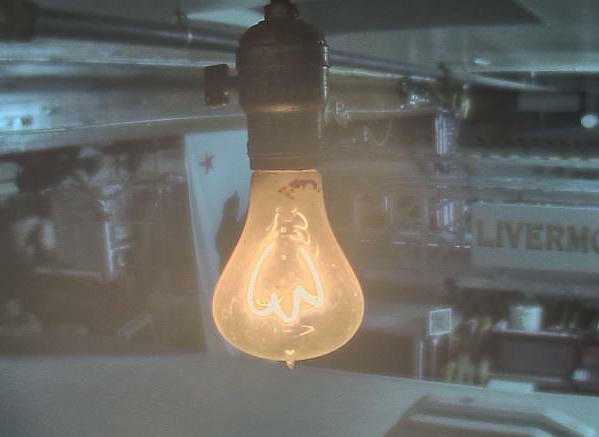 The light is now on permanent display inside Ohio's Small Town Museum, along with marvels such as the world's biggest scrapbook and a buoy from the battleship Maine. But it's the traffic light -- designed by Ashville resident Teddy Boor -- that people always want to see. The Light has never stopped working since 1932, which is when it was installed at the corner of Main and Long Streets. 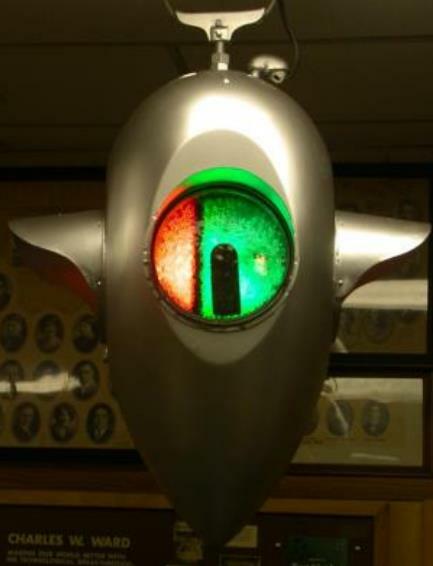 The light looks like a silver, Buck Rogers-era football, and operates like a radar screen, with green and red alternately wiping in a circle across its face. According to the museum, the light was retired from active duty in 1982 only because color-blind people couldn't tell if it was green or red. For decades after it found a home in the museum, the traffic light was rehung outside during Ashville's annual 4th of July celebration. That ended in 2005 with fears that this priceless artifact might be stolen during the night. Now it directs foot traffic inside the Museum, permanently protected, and still always on. The phrase “Old is Gold” is personified through the Hoshi Ryokan in Japan, which qualifies to be the oldest hotel in the world. It has a history of 1300 years of operations, facilitated through 46 generations of family ownership. The location of the hotel was revealed to a Buddhist Monk, Taicho Daishi, by a deity, who visited him in his dream state, telling him that the village of Awasu houses a subterranean hot spring blessed by The Physician of Souls himself. The fact was confirmed when the sickened villagers of Awasu were healed by the water of the Hot Spring and today the people from world over bathe in the spa at the hotel. The hotel is complete with restaurant, spa, guest rooms, a garden, a theater, a hall, a festival foyer, and a couple of other units whose functions are only familiar to the Japanese. Many of the rooms still retain the traditional Japanese interiors, while others have been renovated to tout a modern ambience. It also features a Hoshi Museum that is intimately linked to the region's traditional arts and crafts and has several artists display their work. NOTE: our reader Sean wrote to us that The Hoshi Ryokan is actually the second oldest hotel in operation. It was founded in 717. 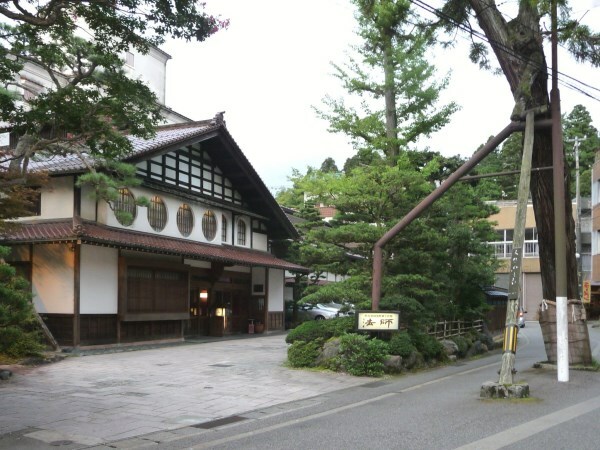 The actual oldest hotel still in operation (also in Japan) is the Nisiyama Onsen Keiunkan, which was founded in 705. A steam-powered car, billed as "The Oldest Car In The World That Still Runs," was sold in October 2011 at a Hershey, Pa. auction, for $4.6 million. 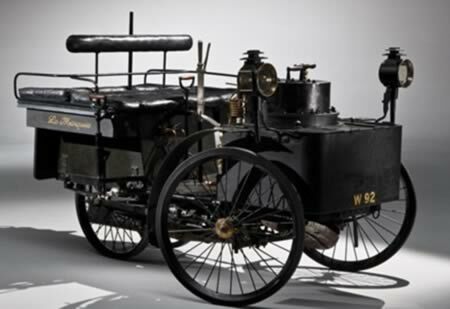 The car had been built in France in 1884, about a year before Gottlieb Daimler and Karl Benz of Germany - who went on to found the car-makers that would become Daimler (DDAIF), maker of Mercedes-Benz luxury cars - built their first experimental gasoline-powered cars. The four-wheeled De Dion-Bouton et Trepardoux, nicknamed "La Marquise," was originally built for the French Count De Dion, one of the founders of the company that built it. Fueled by coal, wood and bits of paper, the car takes about a half hour to work up enough steam to drive. Top speed is 38 miles per hour. The car came close to that speed during what has been billed as "The World's First Automobile Race" in 1887, according to RM Auctions. The car had last been sold in 2007 for about $3.5 million at a Pebble Beach, Calif. auction. In 2009, Szczecin, Poland's Pionier 1909 cinema, the oldest continuously-operating cinema in the world, celebrated its 100th birthday. The Helios Welt-Kino-Theater, as the cinema was called at the time, opened its doors on September 26, 1909 with three films – Der Kampf um den Glauben, Pick und Pock, and Die Smaragdküste der Bretagne – when a cinema ticket cost only two Groschen. Two world wars did not stop performances from going ahead, and operations were only halted when the cinema underwent renovation. Indeed, the cinema was immortalized in the poem Little Cinema in 1947 by the poet Konstanty Ildefons Galczynski, with the description of “the best little cinema where one can forget everything.” The current owner Jerzy Miskiewicz took over the cinema in 1999 when it was in quite a rundown state, and invested time and money in 2002 to bring this former jewel back to its original glory by installing the latest technology and comfort. 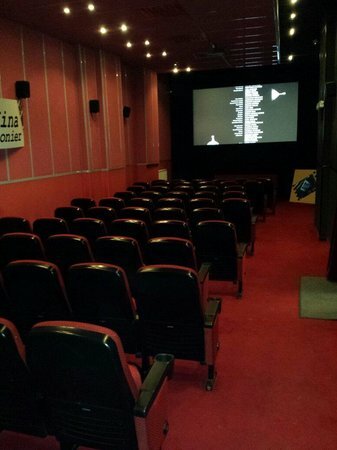 In its 2005 edition, the Guinness Book of Records issued a certificate confirming that Kino Pionier is the oldest cinema in the world.